Nigerian Fried plantains is easy to make and simply delicious.Today, you’ll Learn how to fry the perfect plantains. 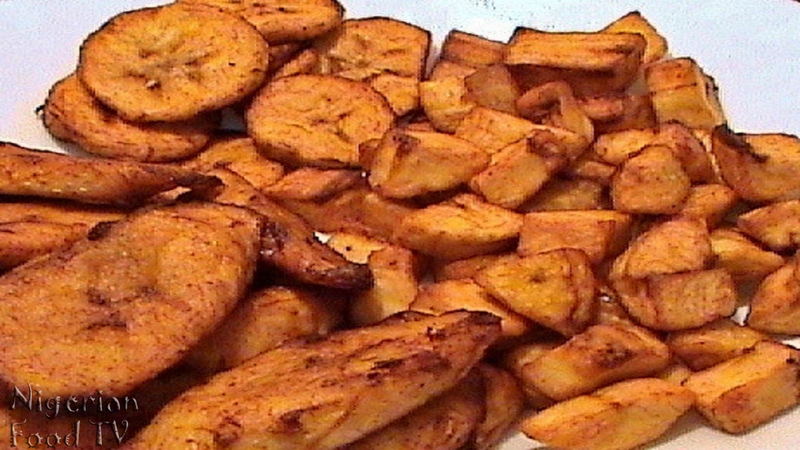 *Cut into any desired shape , sprinkle a little salt and add some drops of water to help get the salt on each plantain. Fried Plantains can be served with Nigerian Jollof Rice, Coconut Rice, Ewa Agoyin and Beans Porridge.